The Devil Rides Out are a lot of things - heavy, bluesy, gritty, and sludgy - but there is one thing about them that really surprises me. They're Australian. 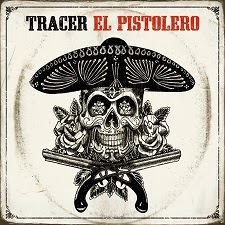 When I first listened to this band, I would have sworn up and down they were from the American South. I'm from the American South, and The Devil Rides Out sure fooled me. The sound these Perth rockers project creates an image of a band playing in a dark, smoky bar in the middle of Texas with the likes of ZZ Top. After gaining a following with their trilogy of EPs, The Devil Rides Out released their first full-length record The Heart & The Crown in 2010. They now have five new tracks to share with the world on their latest EP, Ugly Creatures. The EP begins with the title track of sorts, "Ugly Creature", which starts off with a very heavy bass line followed by an energetic "woo!" This "woo! ", however, does not sound like the vocals that are to come. I was expecting some powerful and blues-oriented vocals, but not something this loud. Singer Joey K's voice reminds me a lot of Glenn Danzig with a bit of Henry Rollins and even some Billy Gibbons thrown in. Andrew Ewing's guitar playing is hard and heavy, and it is most prominent between verses and during instrumental breaks. "Ugly Creature" is a long track, clocking in at 7:15. It ends with a lengthy jam where "Oh my God!" is shouted multiple times. "Burn Again" is a re-tooled version of the song "Watch It Burn" from The Devil Rides Out's The Heart & The Crown album. It opens with amp feedback, and the vocals are much harsher on this version of the song. "Burn Again" has more of a slow, stoner rock vibe than the opening track, and it is also slower than its "Burn Again" predecessor. Something I find rather odd about the verses is that Joey K basically sings three words at a time, making an interesting rhythmic pattern. "Watch It Burn" is the shortest song on the EP at 4:05. It's certainly not a bad song, but I like the energy of the original "Watch It Burn" a lot better. "The Righteous Walk" is Ugly Creatures' lead single. The intro is very blues-based, and the track is quite slow and laid back. This is the one I can REALLY imagine being played in the dark smoky bar in Texas. The lyrics about a man walking the streets at night to get home to his woman are timeless. The vocals on this track - and most of the others - are very loud and overpowering, almost having a Tasmanian Devil or Incredible Hulk sound to them. While I do understand that singer Joey K is trying to get a certain heavy, bluesy sound across, it often seems like he's trying too hard on this EP. His vocals on the previous EPs and album sound much more natural and balanced. Despite this, I really enjoyed the song "The Righteous Walk", as it stands out among the other tracks. It is quite long and so different from the other songs, so I am a bit intrigued that the band picked it to be the lead single. The Devil Rides Out's Ugly Creatures has a dirty blues feel with a hint of jamming stoner rock. It is slow at times, while always retaining its heaviness. The vocals are heavy and interesting, but also often forced. I did enjoy the single "The Righteous Walk" because the raw emotional outpour made it really stand out amongst the other tracks. I'm on board with the overall sound of The Devil Rides Out, and I would recommend Ugly Creatures to fans of Clutch, Superchief, and other heavy metal bands from the blues-based stoner metal realm. Four years after Sound Awake, the Perth prog rockers have released Asymmetry. With their experimental approach, Karnivool continues to hone a sound that is anything but easy to define. Asymmentry begins with the instrumental "Aum". It is slow and features a heavy, resonating bass line which is accompanied by guitar feedback and ambient noise. Parts of it almost have a '60s sci-fi sound, like something on a spaceship winding up. It does end with some vocals, but nothing comprehensible--just some faint oohs and ahhs. Immediately following "Aum" is "Nachash". Jon Stockman's bass playing has the same heaviness with some added thumping. The intro is very fuzzy, and Ian Kenny's vocals start out as monotone. The singing becomes more melodic as the song shifts to a more conventional hard rock feel in some spots. "Nachash" is quite a dynamic track, as it constantly switches between hard and heavy to soft and quiet. "We Are" is Asymmetry's lead single, which there is a music video for. The heavy thumping bass is especially prominent on this track, and the vocals are very melodic. I also find something strangely U2-ish about this song. The sounds are subtle, but the lyrics hint at a message of social consciousness. "We Are" contains a brief distorted guitar solo that is fairly impressive, and the vocals at the end have a really cool sounding harmony as the music fades out. Near the middle of Asymmetry is the seven minute mammoth "Aeons". It begins with some electronic sounds that are reminiscent of a 1980s Atari game. It is consistently slow, yet heavy, but the melodies vary. Some memorable moments are the lyric "It's your funeral / it's your dying day" and the Bono-esque vocals on the "When I breathe again..." lines. "Aeons" takes on a modern alt rock feel during the bridge with the climactic "Chemical fires will signal we're dead" refrain. The song keeps building up--until it abruptly ends with more electronic sounds. "Asymmetry" is the very short and mostly instrumental title track. It predominately features a certain super repetitive and almost grating sound. A distorted guitar joins in, giving the song a more bearable rock feel. 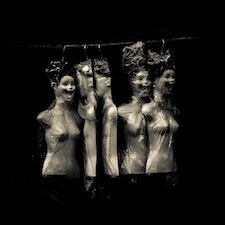 It ends with pounding percussion and some indecipherable vocals as it explodes with a static sound--leading right into the musically unrelated "Eidolon". "Eidolon" is my favorite track from Karnivool's Asymmetry. It sounds pretty much like a typical alt rock song, and it is probably the most "regular" sounding and least experimental rock song on the album. I have nothing against experimentation, but I am just really drawn to this song. "Eidolon" does have its heavy moments, and the chorus is catchy with some repetition. Something else that may be worth mentioning is that the end randomly sounds like the beginning of "Running With the Devil" by Van Halen. "Float" is the appropriately named ethereal song near the album's end. It is relaxing and calm, and the vocals are soothing. The melody is absolutely hauntingly beautiful. The end features some choral-style chanting followed by a high-pitched "nails on a chalkboard" type sound. That was slightly disappointing, because it seemed to take away from an otherwise purely pleasant song. Any of the other electronic or distorted effects--whether subtle or obvious--on this album sound very deliberate, so I accept whatever reason Karnivool had behind placing it there. The final track on Asymmetry is "Om". It starts out with piano and some other subtler sounds. About a minute and a half into the song, a crackly old-sounding speech begins to play. It is about death and other dimensions. I actually Googled some of the dialog and discovered it to be a philosopher named Gerald Heard describing the effects of LSD. In the same video about LSD research, there is a woman experimenting with LSD who may sound quite familiar to rock audiences. A sample of her speaking was used in the intro to Rob Zombie's Venomous Rat Regeneration Vendor album earlier this year. As the drug related talking on "Om" ends, the music fades out with a whirring sound, and the lengthy 67 minute album is finally over. 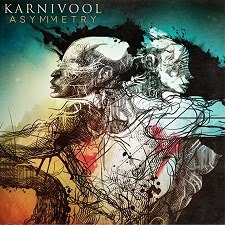 Karnivool's album Asymmetry is undoubtedly experimental, yet it does include some good hard rock moments. It's certainly heavy, but not in the typical metal fashion. It boasts some beautiful melodic moments, especially with Ian Kenny's vocals on the outstanding tracks "Eidolon" and "Float". Asymmetry may be not for everyone, especially those who are not used to prog rock or musical experimentation. As a more traditional rock and metal fan personally, I find that listening to this album with an open mind will definitely make it a more pleasurable experience.